Charles Littell – Scruggs & Carmichael, P.A. Charles Littell was born in Indianapolis, Indiana, in 1944. He received his B.A. with honors from St. Mary’s Seminary and University in 1967. He received his J.D. with honors in 1973 from the University of Florida, where he was Executive Editor of the University of Florida Law Review and a member of Phi Alpha Delta. Mr. Littell served in the United States Air Force from 1967 to 1971. Mr. Littell is admitted to the Florida and Montana Bars, and he is a member of the Real Property, Probate and Trust Law Section of the Florida Bar. 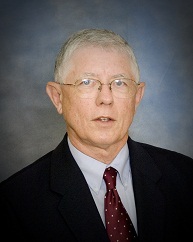 Mr. Littell served as an Adjunct Professor of Law at Nova University in 1975. His practice areas include estate planning, probate and probate litigation, trusts and trust litigation, business and corporate law, business litigation and real estate.